Introducing our trek in the Andes | Where to next? When Poor John and I started to plan our trip to South America, we had big choice—should we do the Inca Trail or the Lares Trek. I have to confess that I didn’t know a lot about the differences between the two. The Inca Trail has a lot of steps—more than 2000—and a lot of ruins. 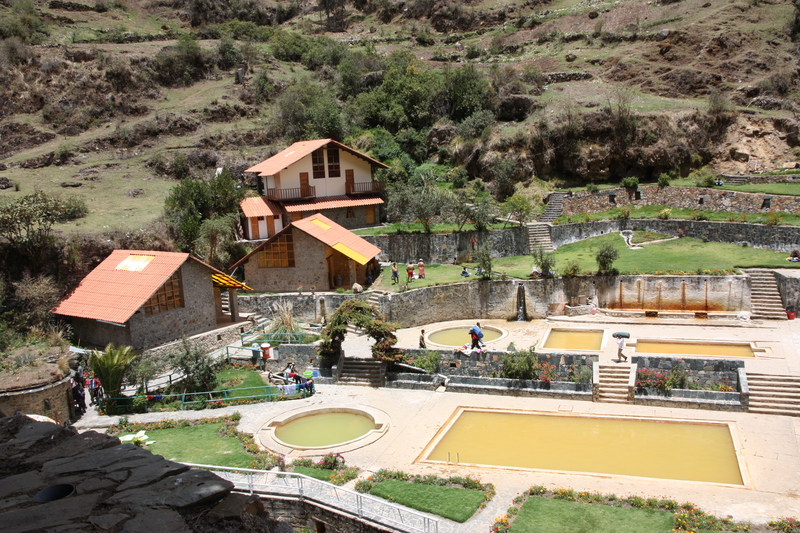 The Lares Trek focuses more on villages. When Poor John first raised the options, I thought we ought to do the Inca Trail. Isn’t that the done thing? So I said, surely there are some villages on the Inca Trail? Nope, there aren’t. 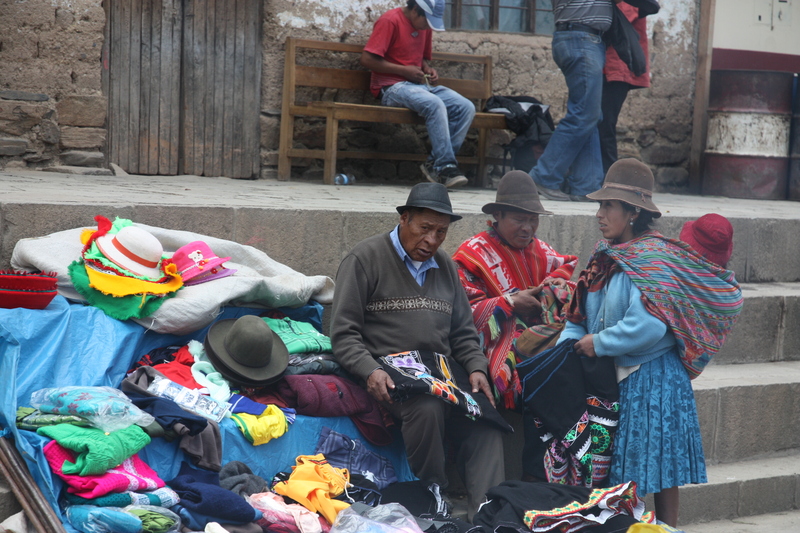 I’m a sucker for villages and markets, so it suddenly became an easy decision for the Lares Trek. Plus Poor John suggested that if the going got really tough, I might be able to ‘rent’ a donkey. As it turned out, the Lares Trek is way off the beaten path. It has many variations in route, degree of difficulty, duration and distance. All the options are remote and rarely visited. Most communities have changed little in the last 500 years, and the region offers insight into the lives of Andean/Quechuan farmers and communities. I have no idea what our route is called, but the attached map is pretty close to what we did. It is 33 kilometres and ours was 28. We stopped at Calca (bottom right of map) first to have breakfast. Poor John and I had a couple of coffees and cheese sandwiches. We also picked up some crew members and bought supplies, such as snacks and water. None of this would be available on the trek, although our meals and clean drinking water were provided once we got going. We then drove on to Lares (top centre of map) where we could try out the thermal baths to get us ‘in the mood’ for the cold to come. Then we backtracked southeast to about where Rio Lares appears on the map (so we didn’t do that little loop of yellow-dotted line off to the left). That’s where we started our trek, which then followed the remainder of the yellow-dotted line south. It was 6 kilometres uphill on first day, 10 kilometres uphill and 4 kilometres downhill on the second, and 8 kilometres downhill on the third. Then who knows how many kilometres around Machu Picchu on the fourth. All of it was tough—we trekked over a 4600-metre pass—and the downhill was often harder than the uphill because of loose gravel and steep inclines. According to what I have read, it is considered a ‘difficult’ rather than ‘moderate’ trek unless it is spread over more days. 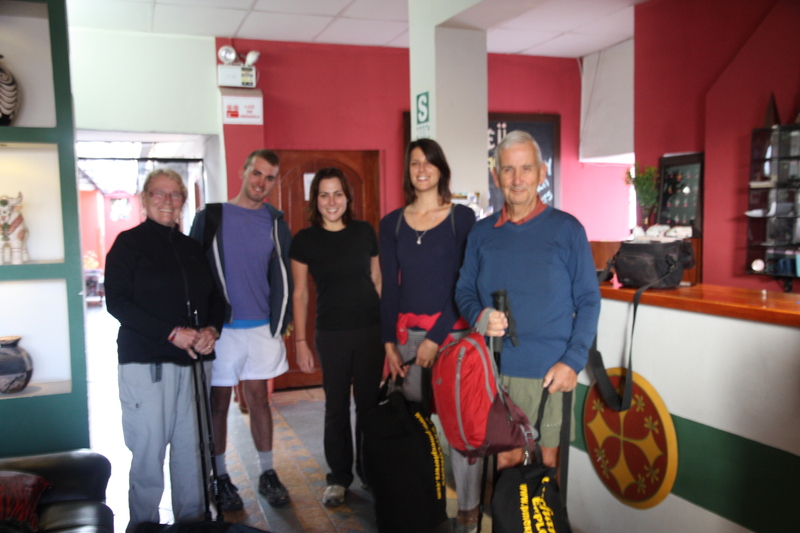 That said, the young’uns in our group were well-prepared and fit enough to have easily done the Inca Trail. Frankly, I doubt I would have survived the Inca Trail. No wait, I’d have survived, but I’d probably still be on my way up. But the scenery, travelling companions, crew and experience were sensational. A never-to-be-forgotten expedition. I’m going to do a mitt-full of blog items on these few days, and the links below will become live as I complete each one. WOW! I am in AWE of you and Poor John,TRUE! As without you both having a short walk in the Andes, I would never get to view! Well done WHOO HOO! Hope you each did a high five on the day! Thanks again for sharing SUCH a great experience that continues (if possible) to get better and better every day! WOW in AWE still is what I can say! Looking forward to pics of your misadventures at Machu Picchu. It’s an engineering marvel centuries ahead of its time. It’s unbelievable that a culture with no iron tools or even the wheel could construct such a magnificent city. My misadventures? Obviously you know me too well. Machu Picchu is incredible. I look forward to sharing the pics. You just don`t stop. Have you been around the world yet? I envy you. Have a fabulous trip and bring back so I can enjoy through you. Thanks Rita. Good to know you are along for the ‘ride’. I promise to keep posting. Peg, you are my hero. Thanks Jan. I didn’t feel too heroic as I ‘crawled’ to the top of the 4600-metre pass. The magic of Machu Picchu | Where to next?